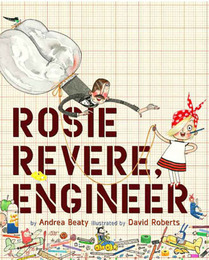 Here’s a list of some great toys and books for girls and boys, to help get kids engaged in STEM. These are tried and true toys that my kids have loved. Do you know SciGirls? SciGirls is a tv show on PBS for kids, featuring girls around middle school age, real girls, who work with an adult female scientist who mentors them as they work on a problem or challenge. 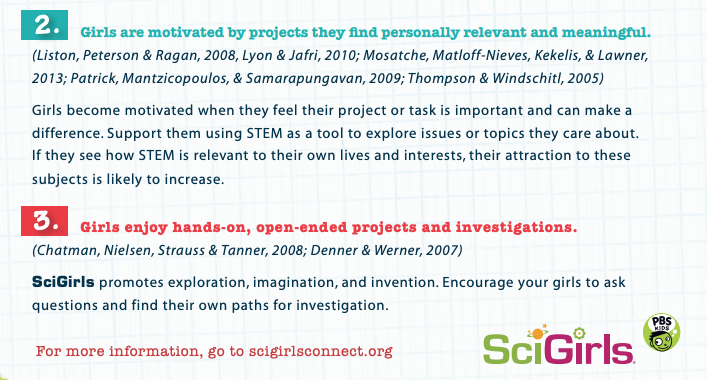 SciGirls has 7 research-back points they call The SciGirls 7, and one of those is that girls are more interested in science when there’s a reason. 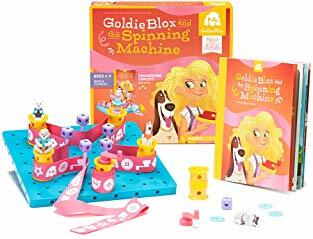 Goldie Blox is a building toy aimed at girls that uses story, the stories mostly star Goldie and her pet dog, but also a colorful cast of friends and animals. The stories have girls build a rolling parade float because it’s needed, or build a Dunk Tank, or this cool thing that I don’t know what it’s called, but it’s got moving parts and you make it go! Each booklet that comes with the larger kits has the story, instructions for the initial build, and then some prompts of additional things to try. 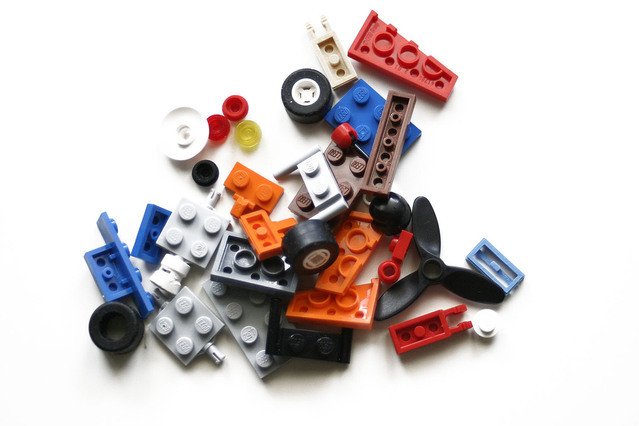 There’s an expansion set of more parts to encourage more free-building. My daughter really enjoys these. The zip line is one of her favorites. These are one of those long lasting toys that can be used at different levels at different ages, as long as you can keep track of all those parts! These toys are great for boys and girls. You already know about this one! Having lots of stuff to build with, for open-ended play is perfect for all kids. Find them by the pound on eBay! 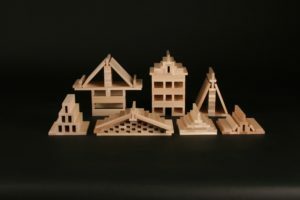 Keva Planks are all exactly the same length and width, which turns out to be a useful creative constraint that results in some clever constructions. This is an investment toy that can be enjoyed by about 1st grade and up (younger kids may find them frustrating) and will be used for years. Especially for families with multiple kids, if you buy these for the youngest, you’ll wish you bought them years ago! Nothing beats classic, unpainted building blocks for creativity. 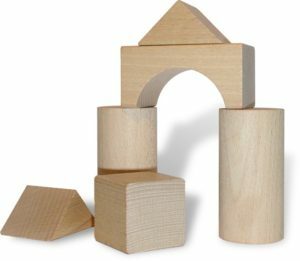 We like Melissa and Doug for reasonable prices, nice sanded wood, and good sets. We have a couple of the basics, plus the architectural features set. Another investment toy to buy when your kids are young and get years of use out of. The original and best! 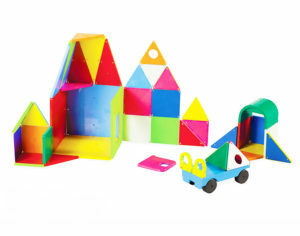 We adore this magnetic building toy! Plastic squares and rectangles with magnets around the edges, you build by connecting them edge to edge. Again, the creative constraint of limited shapes results in creativity. Even though my kids are too old for these, this is one of those toys we’ll always keep around for when toddlers-to-preschoolers come over to visit. We only have the solid color ones, some transparent ones would be fun for making windows in buildings, but a solid color set is a great starting point. Bonus: they’re almost fun to clean up, the way they snap-snap-snap together as you put them away. Ah! The most important one of all! Time and space for building, for tinkering, for making mistakes and that being okay, and for exploring the design-build process. Providing space just for kids to make reasonable messes (and then clean them up) is an amazing gift! A craft table in the basement, a tinkering table with basic tools, screwdrivers and pliers, for taking things apart (with permission), these are the things future inventors need! We’ve particularly enjoyed Rubber Band Engineer. 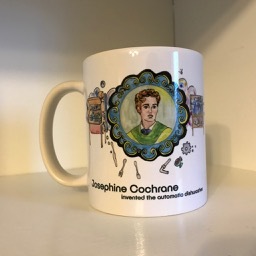 For beautifully illustrated mugs, notebooks and more, that celebrate women inventors, please visit our shop! 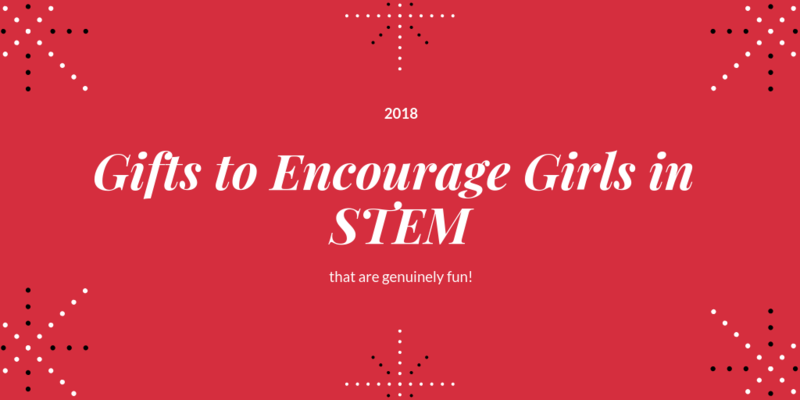 Now, you may know that in addition to being your blogger and podcast host here at Being Bold, I’m also an artist, so why am I so interested in girls getting into STEM? The truth is I want all kids to be able to get into whatever subjects they want, without any fear of discouragement or discrimination! And in areas where girls have typically been discouraged, or haven’t seen role models for themselves, (they’re out there! those role models, we just haven’t seen them, though, don’t worry, we’re working on it!) it’s important to counter-act that with some positive action.